Cleaning task is improved more and more after the manufacture. 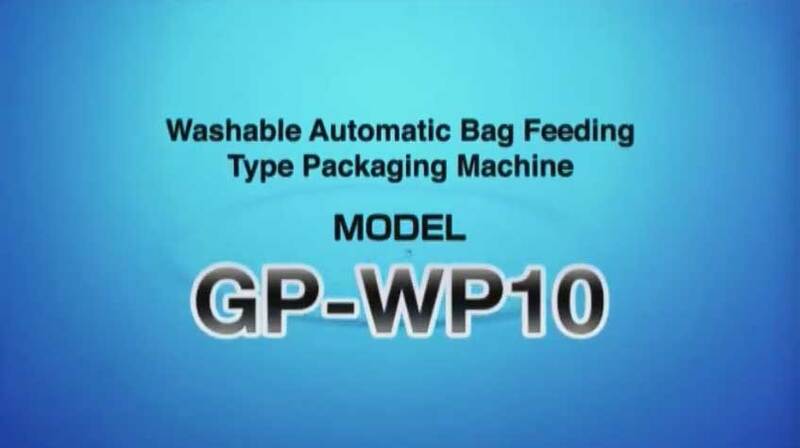 GP-WP10 prevents from tampering and contaminating, to keep food safety and sanitary. Products can be altered to suit your specification quickly and correctly by the touch screen. Various products are available to be registered as pictures on the product register screen. GP-WP10 collaborates with the latest print inspection device which provides the reliability of date printing. A fault print bag is discharged outside as an empty bag(option). Maximum performance is exercised by the simple synchronized funnel (option), so the max capacity is 65 pouches/ per minute. Accommodates 260mm(10 inches) pouch width; therefore, a wide range of packaging is available.